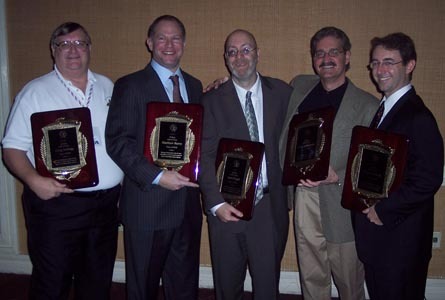 In 2010, the Fantasy Sports Writers Association established a Hall of Fame as a way to recognize those fantasy sports publishers, editors and writers who possess a distinguished body of work and/or those who have helped to advance the careers of others in the fantasy sports industry. To be eligible, candidates must have a minimum of 10 years of service in the fantasy editorial field. for consideration. Selection Committee members serve two-year terms, with no limit to the number of terms served. About the process: The Selection Committee reviews a list of eligible candidates to start the process, and makes additions, if necessary. Then, each member of the Committee is allowed to nominate up to two candidates for consideration; these candidates are considered finalists. The Committee discusses the finalists before voting, using established criteria. To gain induction, a candidate's name must appear on a pre-determined number of ballots cast.